← Handwashing A Car Vs. an Automatic Wash: Which Is Better? Washing a classic car isn’t a whole lot different than washing any other vehicle. You want to take a few precautions, however, to ensure you don’t leave behind any scratches, watermarks, or those dreaded swirl marks. This is especially the case if you will enter your vehicle in a car show soon. Dirt and grime accumulation can leave marks that degrade the paint and cause the car’s value to drop drastically. We recommend a weekly cleaning if you regularly drive the car. Also clean it right after using a professional auto carrier to transport it. Of course, some collectors just let their classic set of wheels sit in the garage. In this instance, frequent car washes aren’t necessary. We recommend engaging a professional team to wash your classic car. Homeowners are often not privy of the many hidden factors that can damage a car. The H20 coming out of your hose, for example, may be full of deposits. This can lead to watermarks if you don’t immediately wipe away the water. Speaking of wiping, are you using a plain towel or even an old t-shirt? These have rougher surfaces and can leave markings. Instead, use a cotton chenille washing mitt or a sheepskin cloth. This is especially important when cleaning the windows and headlights. Our professional cleaners follow a specific cleaning protocol especially when treating classic models. For example, we always wash the car starting from the hood and work our way down. This prevents grime from falling into a section that has already been cleaned and re-contaminating it. Your classic car is the pride of your garage. To leave its value intact, contact Bellingham Detail and Auto Glass for a professional cleaning. 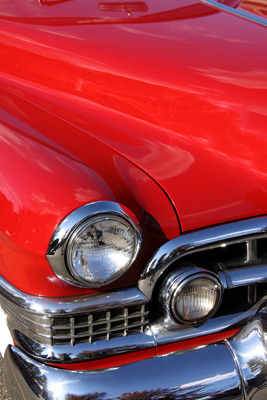 We offer affordable pricing and a thorough car wash for classic cars. Posted on April 28, 2017 under in advice | By ignite.